Musings of a Durotrigan: Andrew Brons to form ‘new’ political party? So suggests a discussion on the British Democracy Forum posted yesterday; or, more accurately, it claims that he is to effectively ‘takeover’ a small existing one: the Democratic Nationalists. Could there be an element of truth in this? Before turning to this specific question, it is worth setting the scene with respect to the state of Andrew Brons’s current political home: the BNP. A few years ago, the BNP looked as if it might hold out the promise of breaking into the mainstream of British politics and becoming a credible moderate nationalist party. Its membership peaked at circa 14,000, but has been on a downward trajectory ever since; now, the party is estimated as possessing between 2,000-3,000 members. Despite the protestations of its leader – Nick Griffin – and his apologists, the subsequent collapse in the BNP’s fortunes has not primarily been due to concerted media and political opposition, but to problems within the party itself. These include a lack of internal party democracy; bad strategic decisions; the adoption of some frankly outlandish policies, and the presence of some equally outlandish individuals with an inexplicable fetish for German National Socialism. This latter fact has of course given opponents of the BNP a very large stick with which to beat the party and its members again and again. Nick Griffin’s own failure to distance the BNP from Holocaust denial and his attempt to defend David Duke of the Ku Klux Klan on the BBC’s Question Time were both gratuitously unnecessary and disastrous for the party. The failure of mainstream political parties in the UK to do anything other than vigorously advocate and facilitate globalisation, mass immigration and multiculturalism over the past couple of decades, meant that many people who joined and voted for the BNP did so not because they were ‘Nazis’ or ‘fascists’ as the party’s detractors liked to claim, but because they saw in it a potential vehicle for the articulation of their concerns. Unfortunately, this vehicle proved not to be roadworthy owing to its reckless owner and driver – Nick Griffin – a man whom time has revealed to be interested not in the salvation of his country, but in the salvation of his bank balance. He grew the party to a size at which he could make a decent living from its membership, and having done so, appeared to be content to tithe the party faithful and to purge the party of its more talented high profile members whilst promoting incompetents to senior positions. This, in essence, is why the BNP has been a manifest failure in terms of practical politics. 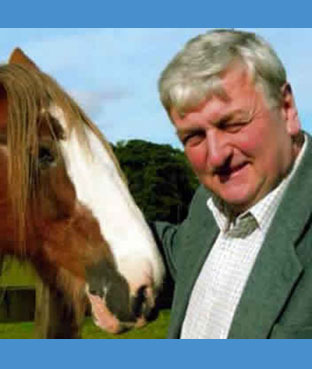 Despite the aforementioned, some people of talent have remained within the BNP, and Andrew Brons, elected as MEP for Yorkshire and Humber at the party’s high watermark in June 2009, must surely rank as foremost amongst their number. He unsuccessfully challenged for the BNP leadership earlier this year, losing to Griffin by a mere eight votes. Some within the party blamed those who had left to set up the British Freedom Party or to join the English Democrats for Griffin managing to maintain his grip on power, and a degree of bitterness amongst some party members with respect to those who left – particularly towards Eddy Butler and his endorsement of the English Democrats – has been evident on this score. Following Brons’s defeat, Griffin’s mismanagement of the BNP has continued with the consequence that the party has remained split down the middle, with the Brons faction last month making moves to establish a “parallel party structure” within the BNP in the hope that should Griffin finally bankrupt the party and be compelled to relinquish the leadership, an effective replacement would be waiting in the wings. Unfortunately for those advocating this approach, there is no sign that Griffin has any intention of going anywhere, which means that the parallel party strategy could prove to be futile. It is thus likely that Brons’s realisation of this reality has prompted his decision – should the rumours prove to be true – to join the Democratic Nationalists, a small nationalist party registered by breakaway members of the BNP in March 2008. The primary motivating factor for its formation was dissatisfaction amongst many members at the failure of the BNP leadership to address their legitimate concerns regarding the absence of effective democratic procedures within the party, as articulated on the ‘Enough is Enough’ blog. The Democratic Nationalists: a suitable Vehicle? Dr James Lewthwaite is currently the most publicly well-known member of the Democratic Nationalists. Unlike Nick Griffin, Dr Lewthwaite can be counted as amongst those who place their political principles ahead of personal interests, and for this he has paid a heavy personal price insofar as his academic career was cut short by the University of Sheffield because of his involvement with the BNP. He now works as a security guard. Since its foundation however, the Democratic Nationalists have not fired the public imagination, and have polled consistently poorly where they have stood. One of the reasons is the party’s near invisibility and the modest scale of its resources. It is currently reckoned to possess somewhere in the region of 50-75 members, with its strongest base being in Bradford where it has previously fielded candidates at ward elections. Its website is in desperate need of a revamp, both in terms of its presentation and content. Its sketchy outline of policy needs to be fleshed out and content needs to be regularly augmented by topical articles, for it can appear at first glance to be essentially a ‘dead’ site dating from the early days of the internet. Alternatively, should Brons join the party, it could make more sense for the BNP Ideas site to be rebranded as that of the Democratic Nationalists, for BNP Ideas is far easier upon the eye and features a regular stream of articles that are of superior quality to those posted on the shoddy official BNP site. The question is: why would Brons wish to join the Democratic Nationalists, and why would the Democratic Nationalists wish to have Brons? If he did join, what role would he assume? As a sitting MEP capable of bringing a significant number of members to the Democratic Nationalists and of removing the cloak of invisibility which currently masks the micro-party, one would assume that he would be given a senior if not the most senior role in the party. If so, one could perhaps draw a parallel with the recent experience of the British Freedom Party, which after its launch in November 2010 experienced a fractious first year witnessing an early split followed by many months in the doldrums, until last month its founding Executive Council members stood down in favour of the Chairmanship of ex-UKIP member Paul Weston who is now seeking to relaunch the BFP as a ‘new’ party. Might not Brons attempt something similar? It would after all, be a quicker option than launching an entirely new party from scratch, and represent a far more rational approach than the current wait and see ‘parallel party structure’ one. Today, the key to winning elections lies in effective communications and finely honing and disseminating messages that resonate with the public. Nationalists possess many messages that the public would wish to hear, but for too long the voices of cranks have drowned these out and caused the public to stop up their ears and refuse to listen. The cranks who have held back nationalism in this country for so many years must not be permitted to wreck nationalism’s prospects in the years ahead. A serious nationalist party must have nothing to do with them. Another trap that should be avoided is that of becoming fixated upon a single issue with which the party becomes irrevocably associated in the public mind, as in the cases of UKIP and EU withdrawal; the English Democrats and an English Parliament; the British Freedom Party and anti-Islamism. A successful nationalist party will address all of these concerns, but should not make any one of them the central plank of its electoral campaign, for should it do so, it will undoubtedly fail. Yes, do air these issues, but keep pushing the nationalist position on the economy over and over again to demonstrate that nationalism offers our people the prospect of a better future than any of the alternatives. The conditions are right for nationalism to make a breakthrough, the only real things holding it back being poor strategy and fragmentation between different nationalist factions. If Brons decides to switch parties, this will have a serious impact upon the BNP which could easily lose half of its existing membership as a consequence. However, it is likely that a small rump BNP would continue under Nick Griffin's leadership as a zombie party, offering a refuge for the hard of thinking and those predisposed towards the cult of (a deeply flawed) personality. This would continue to be a hindrance to nationalist politics in the UK insofar as it would siphon off the votes of that proportion of the nationalistically inclined electorate that is unaware of the reality of the party. One other question that naturally suggests itself should Brons join the Democratic Nationalists is: how will his employees Eddy Butler and Chris Beverley, both members of the English Democrats, react? Excellent article. It seems there are yet again interesting times ahead in Nationalism. I for one can see the sense in Brons adopting a leading role in a minor party. It means much of the groundwork is already done and would allow him the time to concentrate on developing the polices needed to make it credible and electable. I had high hopes for the BFP when Weston joined, but since the initial flurry of activity the man has been nigh on invisible, and some of the things he has said don't sit right with me. I say that if this rumour is true it could be a massive positive step. One correction however, I'm fairly sure James Lewthwaite is party treasurer, not the chairman. He is their highest profile member though. Thanks for the correction Cygnus. I shall amend the piece accordingly. Yes, interesting times indeed. Should this eventuality come to pass, Brons will need to act quickly to emerge as the leading light amongst the pack of small parties chasing the nationalist vote in England. One that I omitted to mention in the article was the recently created 'National People's Party' which, it would appear, is little more than a money-making scam for Jim Dowson. The British Freedom Party is neither democratic nor open to different points of view despite its misleading name. They recently carried a piece on Churchill not being a racist. I replied stating that the term "racist" is a term of abuse used by our opponents and ty should not debate in those terms. I mentioned that Churchill could easily be described as a racialist as he believed in racial differeences and posted a link to one of my old articles but they censored me. "Churchill was an enthusiastic eugenicist, and was a sponsoring vice president — as were the Lord Chief Justice and the Lord Bishop of Ripon — of the first International Eugenics Conference, which took place in London in 1912. Arthur Balfour delivered the opening address with Leonard Darwin — Charles Darwin’s son — presiding." It will take a remarkable person, or set of people, to create a successful new party. It's like trying to take on MacDonalds or KFC in the fast food business, rather than being content to have a successful stand-alone family restaurant. My suggestion is to buy a franchise. Work from within to change the menu. That is absolutely spot on. The problem has always been run-of-the-mill leaders trying to build cult followings - Griffin, Tyndall, Colin Jordan - never were up to it. Another problem is the British are essentially conservative and unless they are bribed as the Labour party does with welfare entitlements, they don't like radicals an that includes radical nationalists.